Every holiday season, hundreds of lives are lost in drunk driving accidents. During the Christmas period, an average of 45 fatalities involving an alcohol-impaired driver occur each day. That number soars to 54 per day over the New Year holiday. We all know the holiday season brings more social gatherings, parties, and reunions. Though it’s a festive time, it’s also one that reminds us to use more caution when behind the wheel. 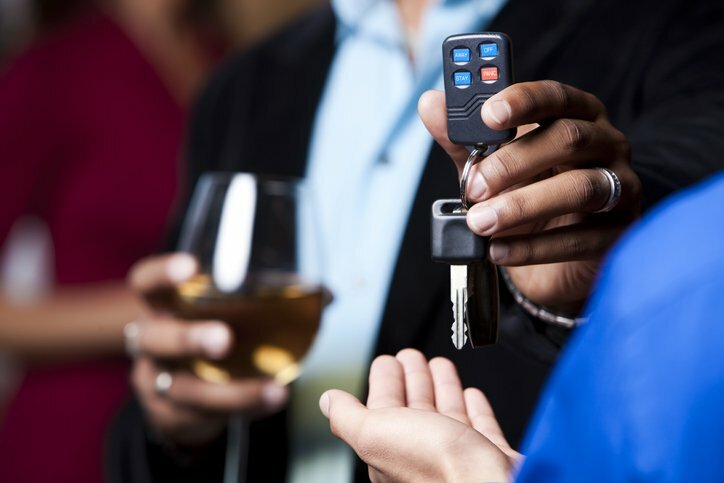 According to DriversEd.com’s new 2018 Holiday Drinking and Impaired Driving Report, 67% of Americans say they feel less safe on the road around the holiday season. Impaired driving isn’t caused solely by alcohol. In addition to prescription drugs, smoking or ingesting marijuana before getting behind the wheel also affect drivers’ capabilities to make safe, smart decisions. Driving while under the influence of marijuana leads to slow reaction time, impairs the judgment of time and distance, and decreases coordination—complicating efforts to keep vehicles correctly positioned in their lanes. The DriversEd.com report, which includes responses from more than 1,000 individuals, offers staggering statistics on the realities of impaired driving: 23% of Americans admit they drink more alcohol during the holiday season than they do during other times of year, and 9% admit that they smoke more marijuana during the holidays than other times of year. Of those attending work holiday parties who plan on drinking, 9% say they plan to get home by driving. Of those going out to celebrate New Year’s Eve who plan on drinking, 6% say they plan to get home by driving. 49% of respondents admit that they have driven after having one or more drinks. 16% admit that they have driven after smoking or ingesting marijuana. Drivers can be proactive this holiday season by practicing defensive driving techniques when behind the wheel, which include safe attitudes and behavior, hazard recognition, and proper recovery methods. Partygoers can be proactive by organizing rides home ahead of time, or by using a taxi service, rideshare service, or getting a ride home from a designated, sober driver. The 2018 Holiday Drinking and Impaired Driving survey was conducted online using Survey Monkey. One thousand, forty-three participants were polled, spanning across the U.S. The demographics of those polled represented a broad range of household income, geographic location, age, and gender. All respondents are 18 or older.